Snugly bordered by Ferndale, Royal Oak and the Walter P. Reuther Freeway, Pleasant Ridge is a gem of a city hidden in plain sight. “A lot of people have no idea Pleasant Ridge even exists,” says Kurt Metzger, city mayor since 2013. “Some who know of it just know the west side. But we have an east side, too,” he says, referring to a city that is bisected neatly by Woodward Avenue. Just one and a half miles north of Detroit with an archetypal small-town personality, Pleasant Ridge has about 2,550 residents, many of whom brim with hometown pride. Mayor Kurt Metzger. Photo by Nick Hagen. And not without good reason. Listed in the National Register of Historic Places for its many classic homes planted on just 24 wide, tree-lined avenues, the city is home to numerous citizen-run social and philanthropic organizations and a well-equipped community center. Pleasant Ridge offers a domestic reprieve for Metro Detroiters. Even if few know where this pleasant place actually is. So where is the ridge and why is it pleasant? Undeveloped Oakland County was better known as the “Great Swamp” when first officially surveyed in 1817, according to Charles H. Martinez, in his book Song of the Heron: Reflections on the History of West Bloomfield. A strip of land in what is now Pleasant Ridge, however, was an “elevated and ancient beach,” easily traveled on foot and horseback. Many such beach ridges are found parallel to the Great Lakes and connecting channels in Metro Detroit. The ridge here became Ridge Road and formed the basis for a town. By 1912, 10 families, many living along Ridge Road, formed the first community in the newly platted land and met in each others’ homes to discuss development issues, according to Pleasant Ridge Then and Now, a 1981 publication of the Pleasant Ridge Historical Commission. One early resident from a small Kentucky town called Pleasant Valley connected “pleasant” with “ridge” and named the group the Pleasant Ridge Country Club. In 1919, 90 of the 320 residents voted to incorporate as a village, and in 1927, with 2,289 residents, the village became the smallest city in Michigan at the time, covering just over one-half square mile. The original Pleasant Ridge Country Club exists today as the more social-minded Pleasant Ridge Club. But it’s not the only group here with several decades of history. Edwards cites the Pleasant Ridge Foundation, the Pleasant Ridge Garden Club, the Pleasant Ridge Book Club and many other civic and social groups which have been in existence since the 1960s or earlier. Jessica Herzig. Photo by Nick Hagen. 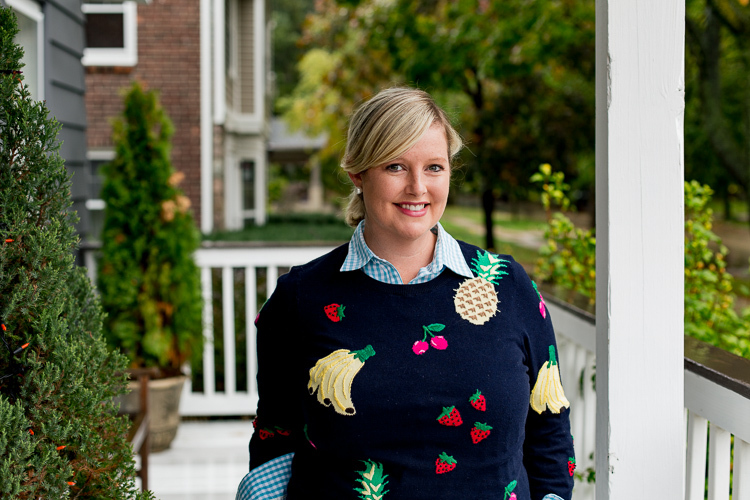 Those who visit Pleasant Ridge can’t help but be charmed by its many unique, beautiful homes. In 2013, the city’s Historical Commission recognized 17 “centennial” homes, honoring 10 more in 2015, according to Herzig. Each year for the past dozen, eight homes have been selected for the early June Home and Garden Tour of Historic Pleasant Ridge. “We are so lucky to get a variety of homes to participate, and to see what people have done with them. Many have added to the charm with careful updates,” says Herzig. Residents David Assemany and Jeffrey Zook love the 1935 Cambridge Boulevard Dutch colonial they purchased in 1997. They updated their home in the mid-2000s to include a 1,000 square-foot music studio. The room serves as a rehearsal space for Zook, who plays flute and piccolo with the Detroit Symphony Orchestra, and houses their fully rebuilt 1932 Steinway piano. “We have room for 40 people here. Jeff will have students do recitals, or we will have potluck parties and play music. A lot of music all the time,” says Assemany, retired owner of the former Aquarium Shop in Royal Oak. Their home may be gorgeous, but it’s the garden that Assemany gushes about. Assemany’s classic English-style garden also features daisies, roses and morning glories, plus a garden shed, once the carriage house of an early 1900s home on the adjacent Ridge Road. 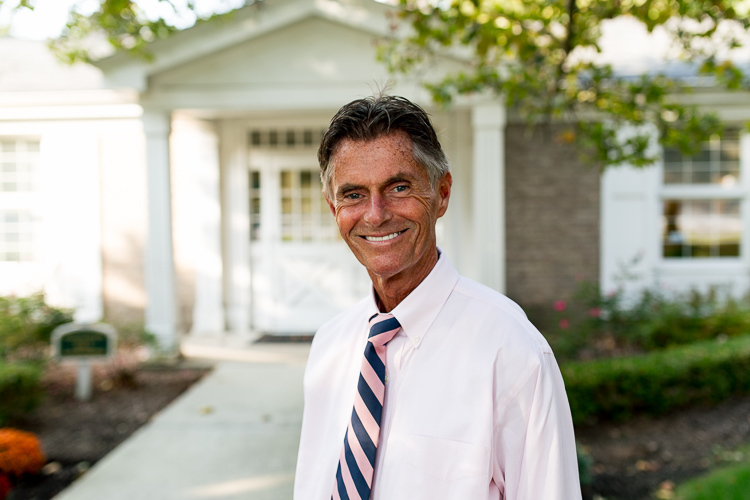 Architecturally, Pleasant Ridge features a mix of styles, which was typical of pre-Depression era design, says John Davids, former University of Michigan teacher of architectural history and design architect with Stantec. “The homes are not cookie cutter. One block may have a Greek revival style, and a Victorian Queen Anne, then an English cottage, and an Italianate. It’s nothing like post-war housing where 500 of one model were built in a city,” Davids says. 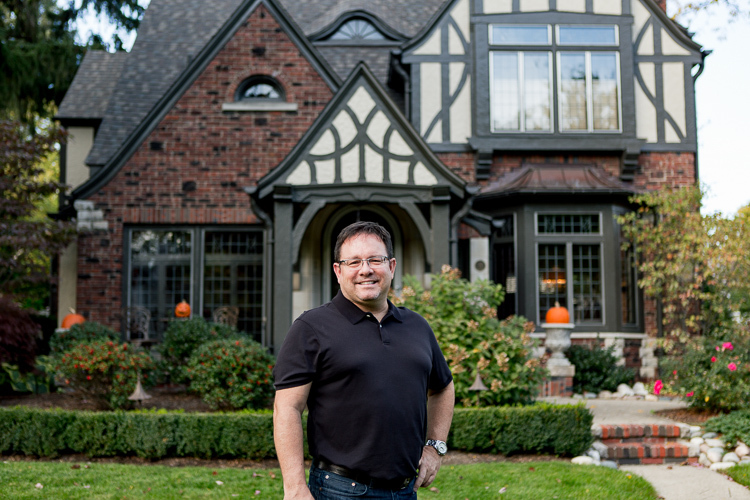 At 12 Oxford Boulevard sits a 1927 storybook Tudor known to residents as the “Gingerbread House,” and the object of desire of Jim Koeppen since 1990. “It’s always been one of my favorite homes,” says Koeppen, who admits sneaking a peek through the windows at night while walking through Pleasant Ridge after a night out in nearby Ferndale. Jim Koeppen. Photo by Nick Hagen. Wannabe “Ridgers” may have to work hard to find a home for sale in a town where many residents move to larger or smaller homes within the city limits rather than moving away completely. On one particular day in late September, Edwards found 12 active for sale listings ranging from $210,000 to $1.1 million. “There are homes that come on the market, and desirable homes do sell quickly. If a home needs work, it might sit for a little while, but it’s not common in our community,” she says. As part of the Ferndale School district, Pleasant Ridge residents and their Ferndale neighbors are adjusting to a new school superintendent and a newly restructured district, according to Metzger, who says for several reasons, many school districts struggle to retain local students. “Each district is becoming less of a local district. They are really struggling to compete. Ferndale is doing the best it can, but it’s a mixed bag of district boundaries,” he says regarding increased movement of Detroit students into Oak Park and a subsequent shift of Oak Park students into Ferndale. Metzger estimates that roughly half of Pleasant Ridge students attend Ferndale schools, while half attend University of Detroit Jesuit and Mercy, Shrine, or neighboring public districts Berkley and Royal Oak. Pleasant Ridge lacks a thriving commercial district, and little space to develop one, says Metzger. Yet the few businesses here along Woodward Avenue are proud to call the city home. “We are in the heart of the bustling downtown,” laughs David Thomas, who, with his wife, oncology nurse Susan Thomas, runs Susan’s Special Needs, a high-end mastectomy lingerie shop he says thrives in its location because it is easily accessible to clientele who travel to shop. “We are a highly specialized, unique retailer and we sit in a perfect crossroads location of Woodward and I-696,” Thomas, who grew up in Pleasant Ridge, says. After they’re done shopping, Thomas suggests they have lunch at the Whistle Stop Diner next door. The lack of storefront property makes little difference to home-based businesses such as Your Personal Memoir, LLC. Operated largely from their respective homes by residents Susan Carroll and Gigi Vanderweele, the company, which helps clients preserve their life stories, benefits from word-of-mouth marketing in the closely-knit community.